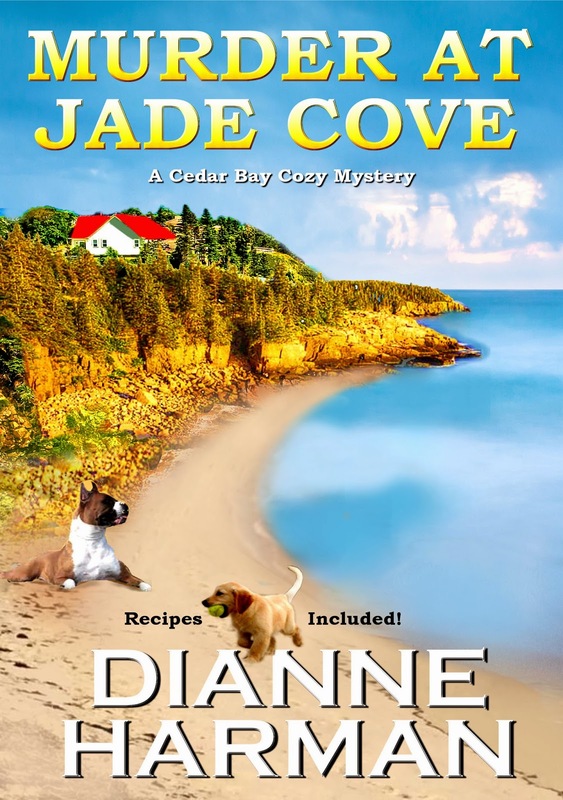 Dane McCaslin, author of the new cozy mystery A Bird in the Hand, is treating MRM readers to a FANTASTIC giveaway! She's offering not one but TWO autographed copies of A Bird in the Hand. 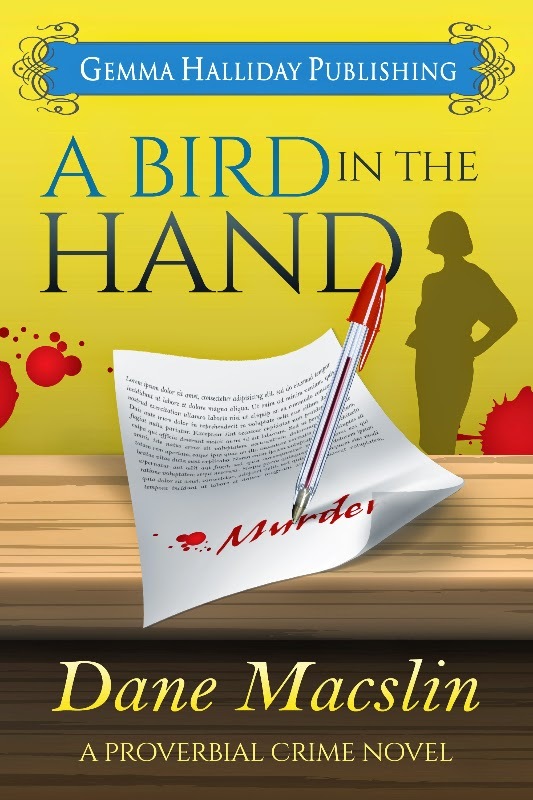 Check out Dane's recent guest post for a peek at an excerpt of A Bird in the Hand. If you just can't wait to read the whole thing, you can pick it up for only 99 cents for Kindle for a limited time. Please comment below to enter the giveaway! Share this post on social media for a second entry; just comment and let us know you did so. Please Note: If you are commenting anonymously, please leave your full Facebook name or email address so that we may contact you in case you win! Non US residents are eligible for the contest, but will receive a Kindle book rather than a physical copy. Winners will be chosen via random number generator on Thursday, April 2nd! 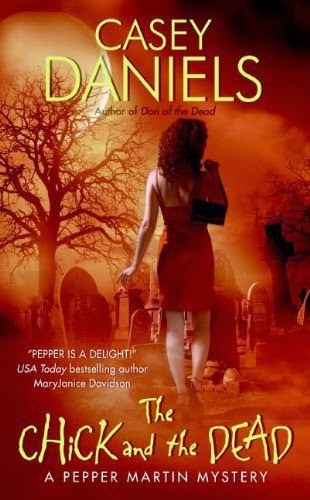 Dane McCaslin, author of the new Proverbial Crime mystery series, resides in the state of Arizona with her very patient husband. 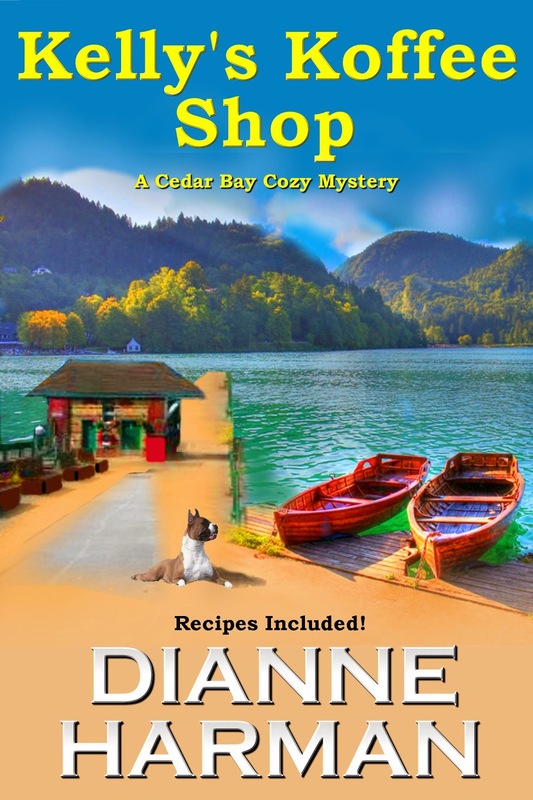 She has been writing all of her life: poetry, short stories, journals, letters (yes, those old-fashioned epistles that require pen and paper), and now she brings her talents to the cozy mystery genre. In addition to being an author, Dane McCaslin is an educator. She currently teaches advanced language arts classes for grade 11; additionally, she teaches beginning writing classes at the local university. Being an educator is an important part of her life, and passing on her passion for reading and writing is one of her great joys. Julie Mulhern, author of The Deep End and Guaranteed to Bleed (October, 2015), joins us today to tell us about the questions she hears most often since she’s been published. Not exactly a question but those four words strung together can make me straighten my spine, paste on a polite smile, fold my hands in my lap, and cross my ankles. I feel compelled to make a good impression. In that, I have much in common with the heroine of The Deep End, Ellison Russell. We might also share a certain tendency toward snark but I’m trying to make a good impression so we won’t go into that. Is there ever a clean, easy answer to that question? I had a dream about a sparkly vampire in a field of flowers…. It’s not so clear cut for me. The truth? I’m happier when I’m writing. I might even be easier to live with. I got home and glanced at the clock on the wall—a quarter ‘til ten, a full fifteen minutes before Frances Walford ever got up. Par for the course of my morning—not only was Mother up, she’d driven to my house and taken up a strategic position in my kitchen, ready for battle with a helmet of teased white hair and her everyday armor—diamonds on her knuckles and a serviceable navy dress. Someone must have called and told her that her odd, artistic daughter had found a body. I’d wanted nothing more than a quiet moment to reflect, a shower, and a decent cup of coffee. Instead, I got my mother demanding to hear about my morning. At least she’d made coffee. Of course she was. Just like the Romans were trying to help the Christians when they introduced them to the lions. “You look like hell,” she added. So much for being solicitous. Mother reached into the refrigerator and pushed things around until she found the cream, then opened the container and sniffed. My mother froze. The cream spilling from the carton into her coffee cup froze. Max, who’d padded into the kitchen in hopes someone would leave food unattended, froze. I’d broken the cardinal rule of the Walfords. Thou shall not air dirty laundry in public. “Why would you tell them that?” Her voice was arctic. She wanted to tell me I was being fanciful. Her mouth opened, her lips even formed the words—but she couldn’t do it. The morning’s events supported me. Madeline was dead and I’d been hauled to the police station in my swimsuit. I took a very deep breath and reached for the coffee pot. “I didn’t have much choice.” All things being equal I would have preferred to wear actual clothes to a testosterone-filled squad room. Yes. It was all Madeline’s fault. How inconsiderate of her to get murdered. 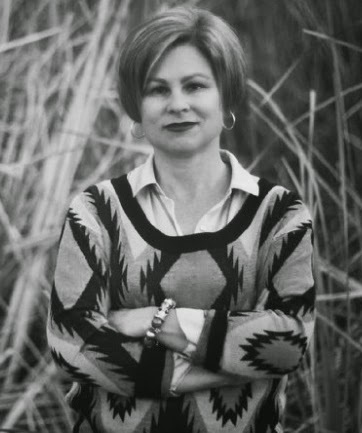 Julie Mulhern is a Kansas City native who grew up on a steady diet of Agatha Christie. She spends her spare time whipping up gourmet meals for her family, working out at the gym and finding new ways to keep her house spotlessly clean--and she's got an active imagination. Truth is--she's an expert at calling for take-out, she grumbles about walking the dog and the dust bunnies under the bed have grown into dust lions. 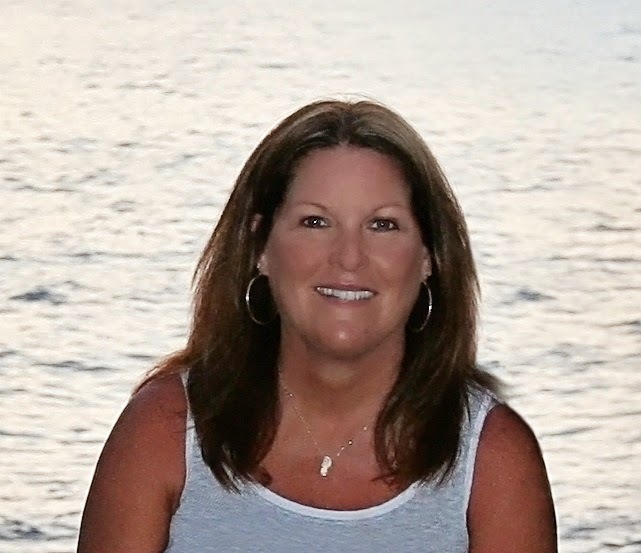 She is a 2014 Golden Heart® Finalist. 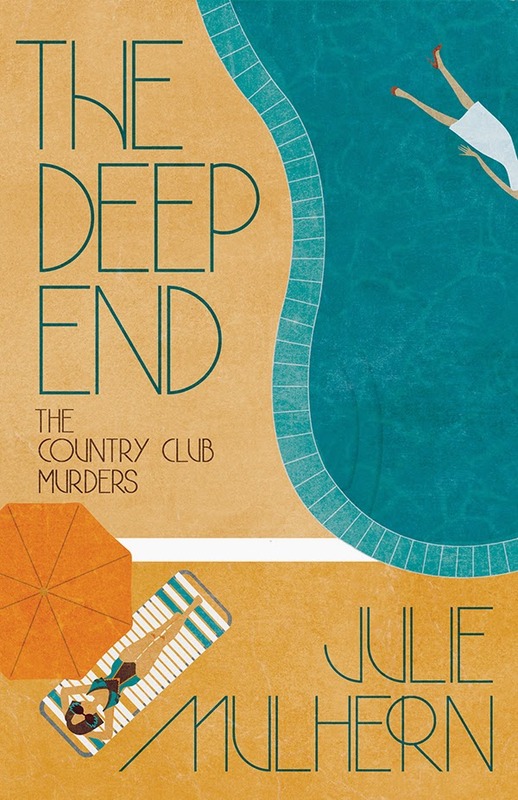 The Deep End is her first mystery and is the winner of The Sheila Award. MRM looked at this list and yelled "WOO! Gettin' me some e-books today! "* It is a pretty impressive list, so snap them up while you can. HAHA! ~Mrs. MRM. 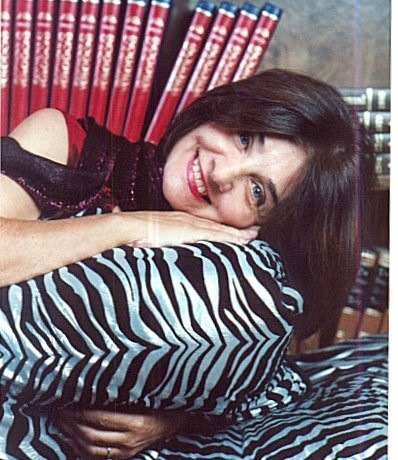 Our guest post today is from National Bestselling Author of the Lella York mysteries, Maria Grazia Swan. Don't miss this one, because there's an awesome giveaway at the end!! Growing up I read a lot. Possibly because back then we didn’t have television, telephones or computers. Our small town at the foot of the Alps did have one movie theater, owned by the parish, and I did get to watch the occasional Shirley Temple movie (Italian dubbing), and no, it wasn’t in the thirties or the forties, or…okay, you get the picture. Remember movie night on the TV show “MASH”? Well that’s the way we got to watch movies, the same ones over and over, with frequent interruptions to fix the reel. I preferred reading. My favorites were I Gialli Mondadori. Sounds fancy but in reality that was the label of Italian Publisher Mondadori’s mystery imprint. Their mystery line was called ‘Gialli’ because of their yellow book covers. That name stuck and today mysteries released in Italy are commonly known as Gialli. My favorite author was Agatha Christie, the queen of mystery. All went well until I sold more manuscripts to more publishers and one of them pointed out my books were more suspense than mystery. Say what? Where did I go wrong? Huuh, I still kill fictional people. And my goal is the same; to make you sweat trying to guess whodunit. I decided to check out the official definition of mystery. Here is what I found. Something that is difficult or impossible to understand or explain. I would like to thanks Must Read Mysteries (Not Suspense!) for giving me the opportunity to share this with you, and I hope you all rush to your favorite online bookseller and buy one of my books. 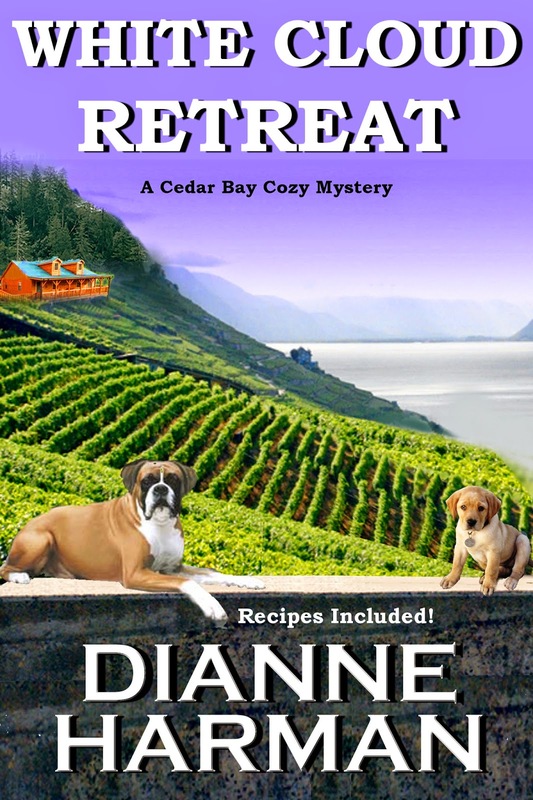 Regardless of whether you are a mystery or a suspense lover, I hope you sweat profusely trying to guess whodunit. Ciao. Best selling author Maria Grazia Swan was born in Italy, but this rolling stone has definitely gathered no moss. 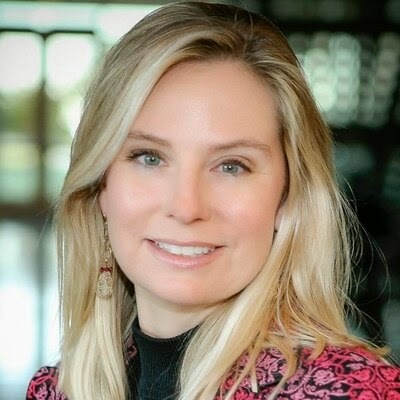 She lived in Belgium, France, Germany, in beautiful Orange County, California where she raised her family, and is currently at home in Phoenix, Arizona--but stay tuned for weekly updates of Where in the World is Maria Grazia Swan? 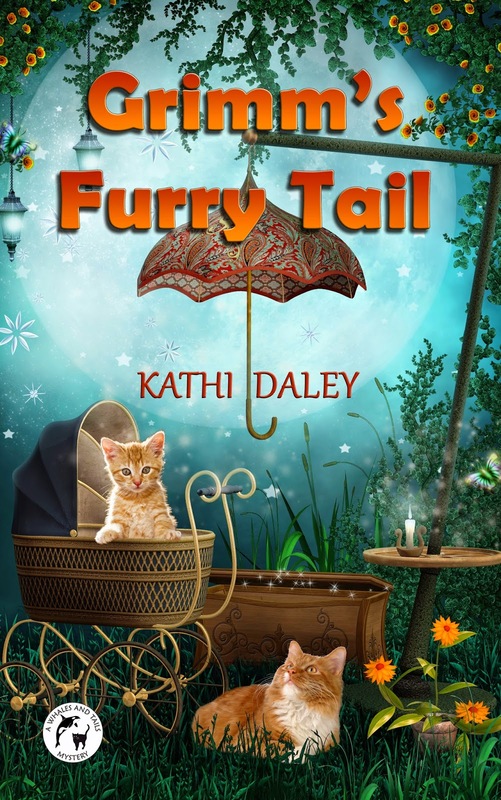 As a young girl, her vivid imagination predestined her to be a writer. She won her first literary award at the age of fourteen while living in Belgium. As a young woman Maria returned to Italy to design for--ooh-la-la--haute couture. You can find out more by visiting her website www.mariagraziaswan.com or connecting with her on Facebook. 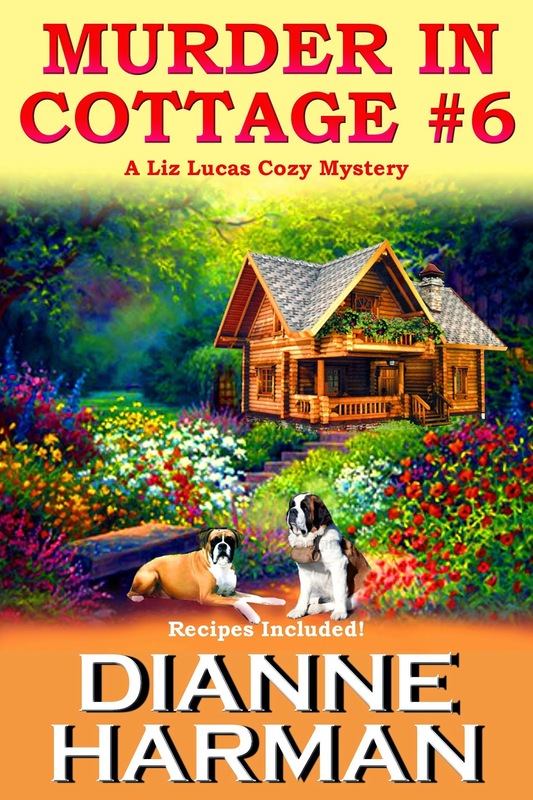 Maria Grazia Swan is very generously sponsoring a giveaway for Must Read Mysteries readers! 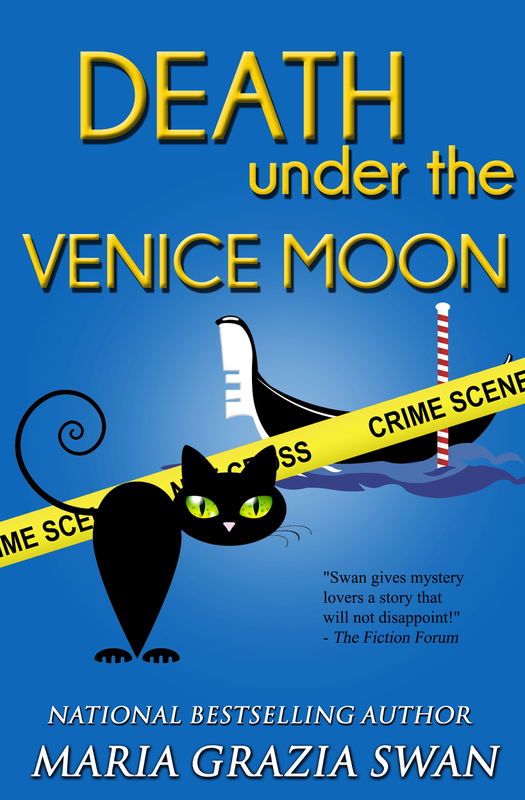 Please comment below for a chance to win your choice of a signed paperback copy of Death Under the Venice Moon or a $10 Amazon card. Winners will be chosen on Friday, March 20th via random number generator. Share this post on social media for an additional entry - just comment below and let us know you shared! Please Note: If you are commenting as "Anonymous," please leave your Facebook name or some other way to contact you! 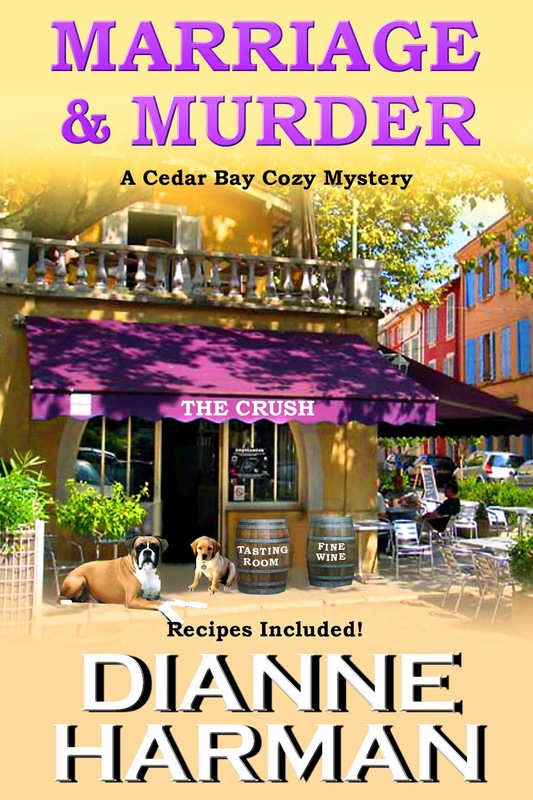 Dane McCaslin, author of Murder at the Miramar and Becklaw's Murder Mystery Tour, joins us today to discuss the importance of analytical skills in life and mystery writing. We're so pleased to share an excerpt from her newest book, A Bird in the Hand. Monday through Friday, 180 days a year, from 7:10 to 2:20, I hang out with kids who are almost four decades younger than I. And I do it voluntarily. Yes, there is the paycheck, but I could do other things with my degrees. Instead, I choose to teach. Before you begin oohing and aahing and telling me that I'm a hero (although I suppose I might be, academic-wise), know that I learn as much - if not more - from my students. Their perspectives range from naive to informed to jaded, and I'm always amazed at the ferocity they display in defending their points of view. It's my challenge to help them learn how to channel this intellectual energy into something productive and useful for society. After all, they will be voting and defending this country in just two short years, and I want them to know WHY they do what they do and make an informed choice. Analysis is not something we're born with. It's a skill we need to learn, much as sharing our toys and respecting those around us needs to be learned. Hercule Poirot, one of the classic literary detectives and he of the ’little grey cells’, showed me how analysis, rather than brute force, was the way to solve a problem. Because I adore all things Agatha Christie, it should be no surprise that my own books take several analytical twists before the final reveal of the villain. And it should be no surprise that my own protagonist, Caro Layton-Browning, is herself a British expat and writer; her impact on the fairly sedate township of Seneca Meadows, New York is as forceful as it is comedic. Here is an excerpt from A Bird in the Hand, Book One of the Proverbial Crime Mysteries. I sat and observed Ms. Wentworth with concern, although I myself have been guilty of the same response. When I am misunderstood, I can howl with the best of them. However, Ms. Wentworth's tears, which were threatening to undo the little makeup she was wearing, did not seem to fall in that category. I believed that the woman genuinely loved the mayor's daughter, although in what capacity precisely I could not say. Still, she was asking for my help, at least tacitly, and who was I to refuse? I replaced my notebook into my bag and left it sitting next to the chair as I walked across to Ms. Wentworth's desk. I believe in inspiration of the moment, going with the flow, as they say. I placed a hand gently on her shoulder and felt a renewed burst of sobbing. Fabulous. Now what was I to do? I cast about the room for any sign of tissue, finally spotting a box tucked onto an alcove shelf near the door. I strode across to it, seized it quickly, and fairly skipped back to the weeping woman. I extracted several tissues and gently placed them in the vicinity of Ms. Wentworth's hands. Thankfully, she took said tissues and lifted them in a clenched fist to pat at her eyes. I stepped back around the desk and stood in the middle of the office, waiting for the waterworks to subside. "I'm sorry, Mrs. Browning." She was putting the tissues to good use, rolling the soggy ball around her face and ultimately smearing her mascara into thick black streaks. "I have no idea why I did that." She finished dismantling her makeup and tossed the used tissues into a trashcan that sat next to her desk. I can recall a dinner that I attended shortly after the publication of my first book. I was nervous amid the company of other authors and publishers, and I was tickled pink to find myself sharing a table with one of my favorite writers. Unfortunately, I spent most of the evening trying not to stare at the glob of pesto sauce trapped in his rather generous moustaches, and I admit that I've not been able to read one of his books since without recalling that night. Not to mention that I've permanently been put off of anything slightly resembling pesto since then. I looked back at Ms. Wentworth, determined to keep my eyes fixed on hers and not on the abstract art she now sported on her face. Drawing in a deep breath, I said, "It is perfectly fine, Ms. Wentworth. Crying can make us feel better, as odd as that sounds. At least it does me," I added hastily. Lord knows I didn't want to come across as patronizing. I figured if I sounded like I was part of a sisterhood of sobbing, I'd be able to get an explanation out of her. "I do appreciate your sentiments, I really do, but there is nothing in this world that will help me to feel better." And with that, Ms. Wentworth broke into tears again. I retraced my steps back over to the tissues, this time grabbing the entire box and plopping it down on the desk next to Ms. Wentworth. She blindly reached out for a tissue and managed to knock the box onto the floor. I bent over to pick it up just as she leaned over, and the resulting cracking of heads made me see stars, another cliché that I'd just proven to be true. Between fainting at the park, falling flat on my back, and now risking brain damage, I'd have to make an appointment to see my doctor ASAP. "Oh, my goodness! Are you okay, Mrs. Browning? Oh, I am so, so sorry," Ms. Wentworth babbled, thrusting one hand out to steady me as I attempted to gain my feet—and managed to whack me across the nose. I felt, rather than saw, the blood spurt, and that was the last thing I can remember before my knees crumpled, and I once again hit the deck. At least this time I was closer to the ground and didn't have as far to fall. For the second time that day, I came to with Gregory's face bobbing above mine. Instead of Trixie's incessant yipping this time around, it was Ms. Wentworth's voice that I heard as she squeaked out an apology to my husband. As I gained consciousness, it occurred to me that I was the one who should be apologized to, but that thought was quickly replaced by the concern that my poor nose was possibly broken. I moved a shaky hand towards my schnozz but was stopped by Greg's firm hand. "Leave it alone, Caro. You'll only make it bleed again." His voice seemed to come from the far end of a long pipe, echoing around my still swimming head. I forced my eyes fully open, trying to focus on his face. Ms. Wentworth's anxious eyes appeared behind Gregory's head, creating the appearance of a two-headed monster staring down at me. I quickly closed my eyes, willing the sudden nausea to go away. All I needed was to vomit while in my prone position. With my current streak of luck, I'd probably choke to death. I had a sudden clear thought. How in the world had my industrious spouse known where to find me? This train of thought spurred me to sit up, which wasn't such a great idea. I was still quite woozy, and I had to lean into Greg's side as another bout of dizziness hit me. "I still think I need to call the paramedics," Ms. Wentworth said, her voice strung tightly, now soprano rather than the rich contralto I had heard earlier. "No, I'm fine," I managed to mumble, but Greg's voice overrode mine. "I'm taking her to the emergency room. This is the second time today she's fainted, and she needs to have her head examined." I could hear an undertone of amusement in his voice and wanted nothing more at that moment than to place a swift kick where it would hurt. Head examined, indeed! I wish I could say that I enjoyed the attention I received at the local emergency room, with a very cute resident flicking a penlight off and on in my eyes and an equally darling doctor watching from the foot of the bed. I tried, for the first few minutes at least, to join in the conversation, but a strange hollow feeling in my ears precluded me from actually hearing what was being said. From the various looks I was getting, I could tell that I was not making any sense, so I very wisely decided to stay quiet. "…blood work. I'll get the orders written." I caught the tail end of the doctor's comments and nearly came unglued. "Absolutely not!" I said firmly, causing Gregory to jump at least two feet into the air and the resident to put a hand to his heart as if I'd just given him the first stirrings of a heart attack. Maybe I did speak a bit loudly, I'll give them that, but enough with the theatrics! I simply did not want to see another drop of blood again. "Caro," began my longsuffering spouse, leaning over the safety rail that presumably was keeping me in place. "The doctor wants to check a few things, and the only way to do that is to take some of your blood." He backed away from me slightly upon uttering those last two words. I glared up at him. If that was so important, I wanted to ask, why in the world couldn't they just scrape the blood from my face? Instead, I settled for closing my eyes, much as my youngest nephew would do whenever he wanted me to believe that he had disappeared. Maybe if I clicked my heels together as well, I would wake up in my own house, in my own bed. Two hours later, with a diagnosis of slight concussion—no broken nose, thank goodness—and a prescription for some of the largest sleeping pills I had ever seen, we turned into our driveway. My car was still parked at His Highness's office, but I was too groggy to consider how I would get it home. At least my trip to the ER had resurrected Gregory's manners. He solicitously opened my door and held my elbow as we walked up to the house, although now that I think about it, it was most likely just a preemptive strike against another fainting spell. Whatever the reason, he did help me into my jammies, put my bloodstained blouse to soak in cold water, and brought me a cup of tea. I was determined to enjoy this treatment for as long as I could milk it. I had a decent night's sleep, thanks to the shot of Demerol that I'd gotten for the pain in my nose, and I awakened feeling fairly human. Gregory was still slumbering, lying on his back, one hand thrown up behind him as if warding off Trixie, who lay curled between us and snoring to beat the band. Come to think of it, my dear husband was snoring as well, the two of them joined in a duet of nasal intonations. I smiled at my two bedmates and then grimaced. My face was sore, and I felt as though I'd gone a round or two in the ring with a champion prizefighter. Sliding one leg at a time from under the covers so as not to wake either of the sleeping beauties, I managed to slip from the bed and stand upright, gripping the nightstand momentarily to stabilize myself. When I was sure I could move without listing to one side, I tiptoed to the bathroom and nearly fainted again, this time from shock. Not only did I feel like I'd been worked over by a prizefighter, I looked the part as well. My nose, swollen to nearly twice its size, was centered between two very black eyes. Good lord, I thought as I surveyed the damage, I'd have to wear a sandwich board with the explanation written all over it, otherwise my friends might think that Gregory…I paused mid-thought. No, better to remain silent about the whole thing and let the world think what it would, I thought a bit self-righteously. After all, who was I to tell folks what to think? And with cheery thought, I started off down the hall to make coffee. I generally love the early morning hours. I tend to have the most energy then, and for me it is not an age thing. I have always preferred the day to the night, except for a brief time during my late teens. The men in my life, both husband and friends alike, accuse me of operating only during daylight hours. Once the sun goes down, I follow suit. It's really not that drastic, but close enough to gain the reputation of being a sunup to sundown type of gal. I dragged my single cup coffee maker to the edge of the granite counter, the better to insert a tiny container of Nantucket blend coffee. I nearly knocked an African violet to the floor as I turned to grab a mug from the open shelf near the stove. It is one of the few potted plants that refuses to succumb to my obvious indifference. Eventually, mug of coffee in hand, I sank into one of the kitchen chairs and stared unseeing out our window. My mind felt as though cotton had been tucked around all the edges, which could probably be blamed on the drugs, but it wasn't an unpleasant feeling. Quite the opposite, in fact. I hadn't sat down and truly relaxed in a great while. A slight movement brought my mind to bear once more, and I leaned forward to get a better glimpse of whatever it was skulking—yes, I did say skulking—behind the Cat Lady's house. Either one of her precious felines had learned to walk upright, or else there was someone who was up to no good. I got to my feet as swiftly as my battered body would allow and retrieved my birding binoculars from my office. Training them on the window, I adjusted the eyepieces and nearly dropped them in the process. A man, all in dark clothing and working what looked like a metal bar, was attempting to pry open my neighbor's back door. I hesitated, chewing on my lip as I sorted out a few things, such as, would Gregory still feel inclined to chivalry this morning? Or perhaps I should be the one to call in the cavalry. At least I wouldn't get mad at myself for waking me up, since I was already up and…I stopped. I was arguing with myself while whoever it was—and maybe it was just an HOA board member, fed up with all the complaints—let himself into the neighbor's home. I looked back at the window, squinting just right to see what the perp was doing. Wait—he'd moved to another window, and this time I could tell that he wasn't trying to open anything but was instead squirting a substance along each window frame as well as the foundation. I gaped, wondering if this was some joke. Just as I stretched out my hand to grab the house phone, Cat Lady herself emerged from the back door. I watched, fascinated, as the burglar pulled the hood off of his head and accepted the mug that she handed him. Good grief, I thought, eyeing the tableau with amazement. Was it now considered proper form to hand out refreshments to criminals? I saw the man take a few sips and then set the mug down on the back steps, ostensibly listening as my neighbor bent his ear about something. Probably raving on about her wonderful cats, I thought sourly, and then my attention was once again riveted to the scene before me. A second dark-clothed figure had joined them, apparently coming from the front of the house. He held a long wand-like apparatus in one hand and a large container of something in the other. It hit me then like the proverbial brick, something my poor head did not need. They were animal control technicians, there to remove every one of those mangy animals from the house. I almost laughed aloud in relief, and might have done so if it hadn't been for my slumbering bedmates just down the hall. I'm careful to guard my alone time in the morning and had no desire to share it with a bumbling, stubble-ridden spouse—even if he had saved me twice yesterday—and a demanding dog. I had just decided to find a comfy spot in which to read the morning paper when another movement caught my attention, and this time I had no doubt about what I was seeing. Mrs. Grayson was now struggling with the coffee-drinking technician—or burglar, or whatever he was—as he forced her through her back door, a cloth held to her nose, followed by the second man, who glanced over his shoulder before he followed his buddy and my neighbor into the house. Now what? Did our local animal control offer other services of which I was not aware? Or had I just witnessed a crime in the making? Mind made up, I bolted from the kitchen and galloped down the hall, almost colliding with a yawning Gregory. "Quick!" I gasped out, "Call the police! The Cat Lady's being…" Here I broke off. She was being what? Burgled? No, that only happened when the owner was not present. Robbed? Perhaps, although who'd want to abscond with a houseful of cats I had no idea. "Don't just stand there!" I shrieked. "The HOA has taken the Cat Lady hostage!"